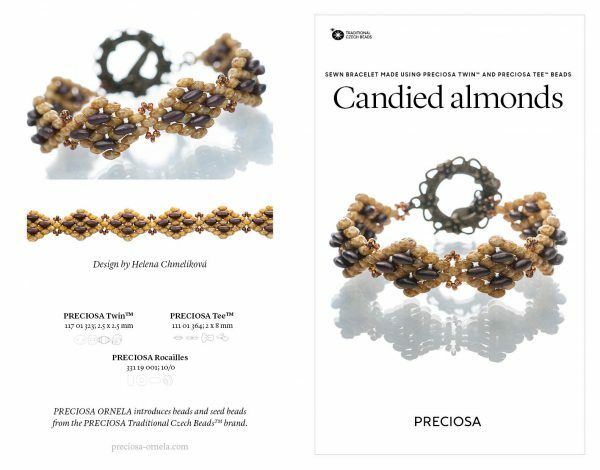 Sewn bracelet made using PRECIOSA Twin™ and PRECIOSA Tee™ beads. Designer: Helena Chmelíková. Free project PDF for this bracelet linked here. Choose the now traditional and popular PRECIOSA Twin™ bead and the unusually shaped PRECIOSA Tee™ bead from the extensive range of PRECIOSA Traditional Czech Beads™. 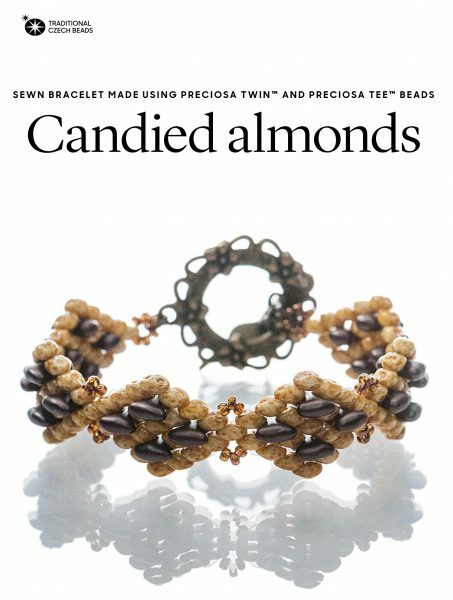 Be inspired by the tasteful color scheme of a chocolate bonbon with candied almonds and sew an interesting bracelet. Beautiful Bracelet! I love it!